Batman Begins came out 11 years ago and is one of my favorite Batman films. 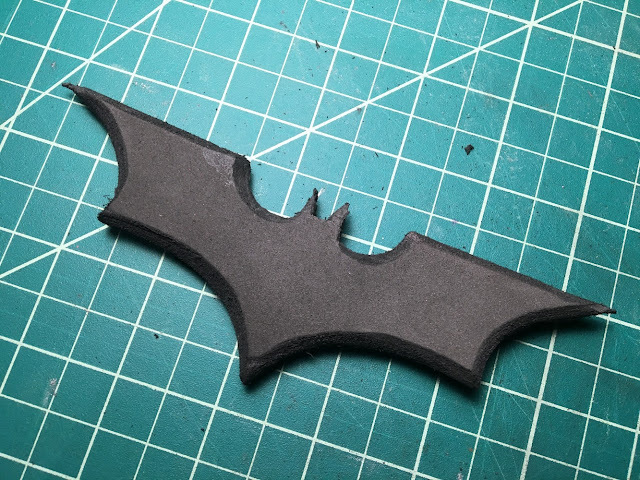 I decided to do a little project and make one of Batman's batarangs out of foam. Here's how I did it. 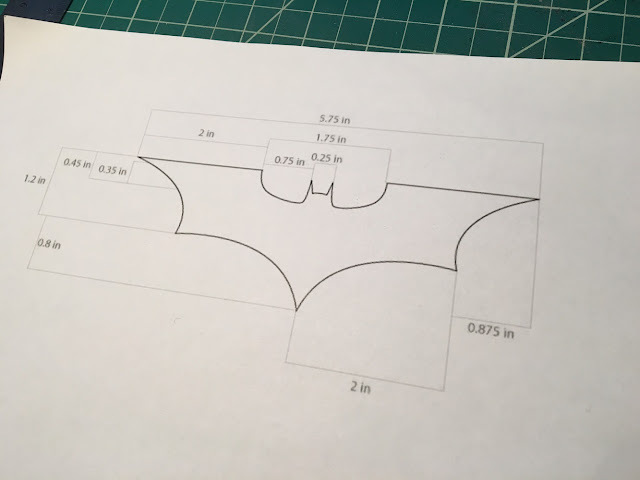 I started by finding a batarang template online. The one I used can be found on pinterest here. It even has dimensions on it so you can size it correctly when you print it. I cut out the template, and traced two patterns onto 6mm foam. I cut out the two pieces with an X-Acto knife. To attach the two pieces, I used Barge contact cement. I'm not too worried about the edges as those are getting sanded. I used my Dremel to sand and bevel the edges. I used several coats of Mod Podge to seal it. I sanded down the surface with a sanding sponge and the bevels with these little files to get into some of the tight spaces. 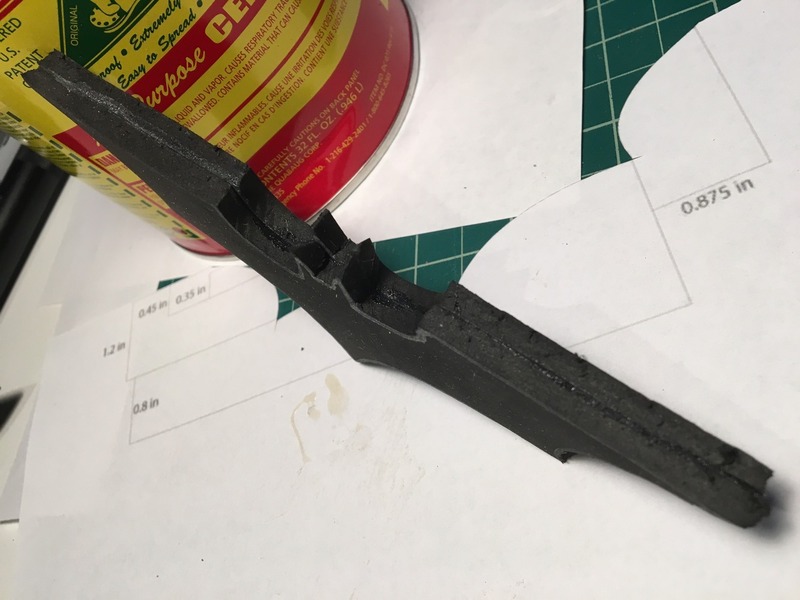 I then used one of the really thin files to gouge some battle damage into it. I painted it a metallic black and did a silver dry brush on the edges and gouges. And a matte clear coat to seal it and it's finished! Super happy how this turned out. Plus since it's foam, when I throw it, it won't hurt anybody. Here's a look at the silver dry brushing I did on the bottom. A little back story on this project. I've been working on a couple of pretty ambitious projects (for me anyway since I'm still such a noob at this) and they haven't been going that well. Referencing everything I've learned from Bill Doran at Punished Props, I know what I need to do. But I lack the skill level and experience to execute it. So I decided to take a step back, and do a small project to kind of reset myself. This gave me a little more experience, and more importantly it gave me a little more confidence to tackle my other projects. You can also check out more photos here!